Julia VanHassent joined OSMC in 1986 as a Physician Assistant to Dr. Stephen E. Faust, orthopaedic surgeon, who specializes in spine care and total joint replacement. Julia received her undergraduate degree in Health Education from Ithaca College. Julia then went on to complete her Physician Assistant degree from the University of Wisconsin-Madison. 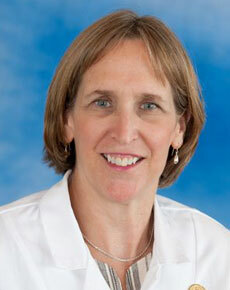 Julia is a member of the American Association of Physician Assistants. Julia works closely with Dr. Stephen Faust in our Annapolis office where she assists with history and physicals, patient office visits, and surgeries. Julia also presents educational seminars to patients regarding total joint replacement.